Generally, TUPE regulations apply to “undertakings” as defined in European Law. This clearly covers the transfer of a business. Does TUPE apply to the transfer of the business? This is one of the most common questions I am asked in relation to TUPE regulations. Unfortunately, there is no easy answer and each case must be decided on its particular circumstances and facts. Are the majority of employees transferring to the transferee? Are tangible assets being transferred? Are the activities being engaged in before the transfer similar to those engaged in after the transfer? What is the value of the intangible assets of the business which is being transferred? The 2nd most common question I am asked in relation to TUPE concerns the awarding of a new contract or the change of service provider of an existing outsourced function in a business. The transfer of a contract, for example to provide a service such as security or catering, raises additional questions which must be looked at. Bringing back in-house an activity which was previously outsourced to a service provider. Was there a transfer of significant intangible or tangible assets? Was there a transfer of the majority of workforce associated with the contract? So, there is a qualitative difference between a transfer which involves the transfer of employees alone and one which involves the transfer of an undertaking which is asset intensive. In an asset intensive undertaking TUPE may not apply if it is only employees who transfer, and not assets, either tangible or intangible. In a labour intensive undertaking, for example security or cleaning, if the transferee refuses to accept the majority of employees then TUPE will probably not apply. Taking on new costs associated with the transfer of employees, for example the cost of carrying out redundancies, if necessary. It is for this reason that the negotiation of a sound indemnity, to cover these types of liabilities, from the grantor of the contract is strongly advisable, and why you should legal advice to ensure you are well covered in this regard. However, the awarding party will seek to ensure that any liability is fully transferred to you as the successful new service provider and may also insist that a term is inserted in the contract, regardless of the particular circumstances of the transfer, that TUPE regulations apply. If this is the case you will need to factor this into the value of the contract and the amount you are prepared to tender to win it. If you are tendering for a contract where TUPE regulations apply you need to be diligent in carrying out your research. Make thorough enquiries to ascertain whether the existing contractor will want to transfer employees to you; if that is the case, you need to look closely at the terms and conditions of the employees. Section 21 of the Employees (Provision of Information and Consultation) Act, 2006 provides you with protection in this connection as section 21 obliges the transferor (outgoing contractor) to notify you of all rights and obligations of the employees to be transferred. However, to obtain the protection of this act you, as transferee, must ask for this information from the transferor. Check for any hidden liabilities, for example claims from employees against the transferor. These claims will transfer to you with the TUPE transfer. As advised above, negotiate the best indemnity (ies) you can to protect you against liabilities post transfer. You should really be satisfied with the replies to all your enquiries discussed above before signing a contract or agreeing a price. This article should be read in conjunction with this one: TUPE,The Transfer of Undertakings Directive and Regulations-The Essentials for Irish Employers and Employees. TUPE is one of the most complex areas of employment law you’ll come across. TUPE or the Transfer of Undertakings Directive of 1977, which became part of Irish law by the European Communities (Safeguarding of Employees’ Rights on Transfer of Undertakings) Regulations, 1980, protects the rights of employees where the business in which they are employed is transferred to a new owner. It is a significant piece of legislation if you are selling your business or if you are working in a business which is being taken over. Statutory instrument 131/2003 The European Communities (Protection of Employees on Transfer of Undertakings) Regulations, 2003 revokes and repeals previous legislation in this area and contains all law relating to transfer of undertakings in a single statutory instrument. The 2003 regulations are supplemented by the Employees (Provision of Information and Consultation) Act 2006. 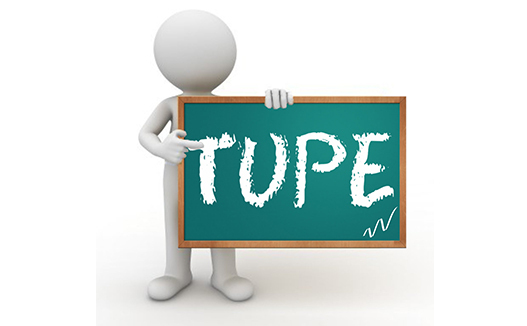 It is important to note that the TUPE directive covers undertakings and businesses or parts of undertakings and businesses-this leads to the critical question of what an undertaking is and as there is no definition in the legislation it has led to much case law with each case being decided on it’s own particular facts. The term “undertaking” is interchangeable with “economic entity”, and the purpose of the Directive is to ensure protection of employees within an economic entity. For the directive to apply the transfer must relate to a stable economic entity whose activity is not limited to performing one specific works contract. The key thrust of the TUPE directive is that the rights and obligations in respect of employment contracts of the transferring business are transferred to the new business. The TUPE directive does not apply where the reason for the transfer is the insolvency of the transferring business. TUPE may apply even where there is no agreement between the two businesses, for example where a lease or franchise is surrendered by operation of law. -the sale of assets alone, without goodwill, may not. It will depend on the circumstances of the case. 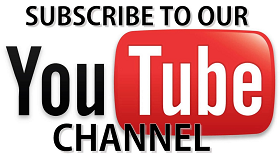 The key determining factor will be the retention of the identity of the business or economic entity which transfers. 3. Transfer by operation of law or other indirect means-if the business is continued by the person or body to whom it is transferred/surrendered there is a transfer of undertaking. If the working conditions arising from the transfer deteriorate significantly leads to a termination of employment the relevant employer will be held responsible for the deterioration. Who does TUPE apply to? Firstly employees, but also persons having an employment relationship with the transferor. This may mean agency workers, depending on who pays them, for example and the Labour Court has held that agency workers can be covered by the directive, depending on the particular circumstances of the case. The underlying philosophy is if similar activities are continued in different hands the identity of the undertaking remains, a transfer occurs, the employees follow the work and protection is enjoyed by the employees. There must be a transfer of an undertaking for TUPE to apply. It is the transfer which triggers the rights and obligations in the TUPE regulations. If a transferor ceases trading and the transferee resumes the business some time later, it may still be covered by TUPE. TUPE can also apply even where there is no contractual nexus between transferor and transferee. The key criterion in deciding whether there is a transfer within the meaning of the regulations is whether the activity is seen to be continuing, even with some differences or even where all of the economic activity has not transferred. So, transfer of a part of a business or undertaking is also covered by TUPE. However a “mere activity” may not be covered if the activity is not an economic activity capable of being the subject matter of a transfer within the meaning of TUPE. Has there been a transfer of an undertaking? Because the directive and regulations are broadly drafted the approach of Courts and tribunals has been to adopt a purposive approach to the legislation and look at the broad social purpose of the directive. This European case has led to what are referred to as “Spijkers Criteria” when it comes to deciding whether there has been a transfer of an undertaking or not. was the undertaking a stable undertaking with an ongoing life of its own? has the entity retained its identity? have some or all of the staff been taken over by the new employer? has the customer base transferred? are the activities post transfer similar to those carried on before the transfer? has there been a transfer of assets? The European Court of Justice (ECJ) has made it pretty clear that it views the term “undertaking” and “economic entity” interchangeably. In the Suzen case the ECJ has held that the purpose of the Directive is to “ensure continuity of relationships within an economic entity”. This leads to difficulties of interpretation though where part of an economic entity or undertaking is carved out and sold; is it then an economic entity capable of being covered by TUPE. Where a motor dealership or franchise with one undertaking is terminated and awarded to a new undertaking pursuing the same activity there is a transfer of undertaking for the purpose of TUPE. The philosophy behind TUPE regulations is that if similar activities are continued in different hands the identity of the undertaking is retained, a transfer occurs, the employees follow the work and protection is enjoyed by the employees. Transfer of part of an undertaking or business is also covered. However it can be difficult to discern whether what is being transferred is part of an undertaking or a “mere activity”. If it is a mere activity and not an economic activity capable of being the subject matter of a transfer it will not be covered by TUPE. The decisive factor in determining this is whether the business in question retains its identity and can be continued or resumed by the new employer. It must also be a stable economic entity. Refer to the Spijkers criteria above to decide whether there has been a transfer of undertaking. It is the rights and obligations that exist on the date of transfer which transfer to the new employment. However it has been recognised that the date of transfer and time of transfer may not be the same. In fact, the transfer can take place over a period of time. The Directive and Regulations cover any employee who was employed over the period of transfer. Can Employees Agree Changes Prior to Transfer? Only if the changes are more favourable to the employees. There is no “contracting out” provision in the Directive or Regulations and the Directive is mandatory. In order to change terms and conditions of employment by consent it must be demonstrated that the reason for the change is not the transfer itself which can be difficult to prove. Agreements. 9. (1) A provision in any agreement shall be void in so far as it purports to exclude or limit the application of any provision of these Regulations or is inconsistent with any provision of these Regulations. (2) A provision in any agreement which is or becomes less favourable in relation to an employee than a similar or corresponding entitlement conferred on the employee by these Regulations shall be deemed to be modified so as not to be less favourable. (3) Nothing in these Regulations shall be construed as prohibiting the inclusion in an agreement of a provision more favourable to an employee than any provision of these Regulations. There has been considerable case law on this point in Europe and in the UK with sometimes conflicting decisions. The conclusion seems to be that the only way to proceed is to validly terminate the existing contract prior to the transfer within the terms of the Directive and Regulations-in other words for economic, technical or organisational reasons- and start with a clean slate with the transferee. Representation of employees. 7. (1) Where an undertaking, business or part of an undertaking or business the subject of a transfer, preserves its autonomy after the transfer, the status and function of the representatives or of the representation of the employees affected by the transfer shall be preserved by the transferee concerned on the same terms and subject to the same conditions as existed before the date of the transfer as specified in any enactment, or in any agreement between the employer and the employees’ representatives. (2) Where an undertaking, business or part of an undertaking or business does not preserve its autonomy, the transferee shall arrange for the employees transferred who were represented before the transfer to choose a person or persons from among their number to represent them (including by means of an election), during the period necessary for the reappointment of the representatives of the employees’ or the reconstitution of their representation. (3) If the term of office of the representatives of the employees affected by the transfer expires as a result of the transfer, the former representatives of the employees shall continue to enjoy the protection provided by section 6 (2)(a) of the Unfair Dismissals Act 1977 (No. 10 of 1977) and any other enactment. The TUPE regulations allow for the ETO (economic, technical,organisational) Defence. This means that dismissal of employees is permissible if the reasons are economic, technical or organisational. “Hiving down” or pre transfer dismissals is prohibited. Dismissals and termination of employment. 5. (1) The transfer of an undertaking, business or part of an undertaking or business shall not in itself constitute grounds for dismissal by the transferor or the transferee and such a dismissal, the grounds for which are such a transfer, by a transferor or a transferee is prohibited. (2) Nothing in this Regulation shall be construed as prohibiting dismissals for economic, technical or organisational reasons which entail changes in the workforce. (3) If a contract of employment is terminated because the transfer involves a substantial change in working conditions to the detriment of the employee concerned, the employer concerned shall be regarded as having been responsible for the termination of the contract of employment. (4) If a dismissal of an employee, in contravention of paragraph (1), constitutes a dismissal of the employee within the meaning of the Unfair Dismissals Acts 1977 to 2001 relief may not be granted to the employee in respect of that dismissal both under these Regulations and under those Acts. However, in Ireland this is recognised as a redundancy situation and the transferee will be liable for the redundancy costs. Dismissals arising from a transfer of an undertaking are permissible provided they are done for economic, technical or organisational reasons. This is known as the ETO defence. This ETO defence is similar to redundancy. It must entail changes in the workforce and employees surplus to requirements post transfer being properly regarded as redundant. To rely on the ETO defence the transferor or transferee must have made a bona fide decision to make changes and those changes required changes in the workforce. It is arguable that if the transferor can satisfactorily show that in order to sell the business he had no option but to dismiss some or all of the staff those dismissals will not be unfair. But employers have found it very difficult to justify making changes prior to transfer in order to make a business more saleable. However the best approach may well be for the transferee to carry out the changes after transfer but to have provided for the cost of doing so in the contract with the vendor as the transferee is best placed to deal with any issues arising as a result of the transfer. The transferee would probably not want to be exposed to the cost of post transfer changes so should negotiate the provision of sufficient funds by the transferor to do so. The difficulty here though is that the level of severance pay requested by employees may not be certain or predictable. Employees could for example hold out for higher payments than being offered and the costs of rationalisation/reduction in the workforce could escalate. Redundancy as recognised by Irish law will meet the requirements of the ETO defence. It is worth noting that the ETO defence does not permit the employer to reduce the employee’s remuneration. 2. the employees must be consulted about the transfer not later than 30 days before the transfer. This consultation and information process must be done with a view to ‘seeking agreement’. Employees must be given written notices setting out the particulars of the transfer. If the employees’ rights are not recognised in this regard injunctive relief can be sought. After the transfer, the transferee is liable for any rights/obligations with the transferor discharged. (d) any measures envisaged in relation to the employees. (2) The transferor shall give the information in paragraph (1) to the employees’ representatives, where reasonably practicable, not later than 30 days before the transfer is carried out and, in any event, in good time before the transfer is carried out. (3) The transferee shall give the information in paragraph (1) to the employees’ representatives, where reasonably practicable, not later than 30 days before the transfer is carried out and, in any event, in good time before the employees are directly affected by the transfer as regards their conditions of work and employment. (4) Where the transferor or the transferee envisages any measures in relation to employees, he or she shall consult the representatives of the employees, where reasonably practicable, not later than 30 days before the transfer is carried out and, in any event, in good time before the transfer is carried out, in relation to any such measures with a view to reaching an agreement. (5) Where there are no employees’ representatives in the undertaking or business of the transferor or, as the case may be, in the undertaking or business of the transferee, the transferor or the transferee, as may be appropriate, shall put in place a procedure whereby the employees may choose from among their number a person or persons to represent them (including by means of an election) for the purposes of this Regulation. (7) The obligations specified in this Regulation shall apply irrespective of whether the decision resulting in the transfer is taken by the employer or an undertaking controlling the employer and the fact that the information concerned was not provided to the employer by the undertaking controlling the employer shall not release the employer from those obligations. One of the most effective remedies for the employee is to obtain injunctive relief preventing any steps being taken in the transfer by either transferor or transferee until the employees’ rights under regulation 8 are honoured. All rights and obligations automatically transfer including holidays, benefits in kind, remuneration, etc. Bankruptcy or insolvency. 6. (1) Regulations 3 and 4 of these Regulations shall not apply to any transfer of an undertaking, business or part of an undertaking or business where the transferor is the subject of bankruptcy proceedings or insolvency proceedings. (3) Notwithstanding paragraph (1), if the sole or main reason for the institution of bankruptcy or insolvency proceedings in respect of a transferor is the evasion of an employer’s legal obligations under these Regulations, the Regulations shall apply to a transfer effected by that transferor. So if the transferor is the subject of bankruptcy or insolvency proceedings any transfer will be excluded from TUPE regulations. However if the only reason for the bankruptcy or insolvency proceedings is to avoid TUPE regulations then TUPE will apply. The legal position concerning whether an employee is obliged to transfer is clear; they are not. The EU, when bringing in this law, left it up to each member state as to how they would deal with the situation where an employee refused to transfer and, specifically, whether the employee would then be entitled to statutory redundancy. The Irish legislation did not make it clear what the situation was but the High Court in 2009 provided clarity in this regard in Symantec Limited v Lyons. The case concerned employees who had refused to transfer upon their employer selling the part of its business to which they were assigned. The employees claimed that they had been made redundant and were entitled to statutory redundancy payments. At first instance, the EAT held that the employees remained employed by the transferor. Consequently, if the transferor was not in a position to redeploy them, the transferor would be liable for the ensuing redundancy payment. In May of 2009, the High Court overturned this decision, holding that refusal to transfer does not result in an employee being deemed redundant but in fact of having resigned. Therefore, the employee is not entitled to any redundancy payment, statutory or otherwise. The High Court held that while an employee is not obliged to transfer it does not follow that a redundancy situation automatically arises in relation to the Transferor. It is important to note however that where an employee’s decision to object to a transfer is due to a substantial change in working conditions to the detriment of the employee, TUPE specifically provides that the employment relationship is deemed to be terminated by the employer. The Regulations provide that the new owner of the business must honour an employee’s existing terms and conditions of employment. They specify that where an agreement provides for a less favourable term or condition, it will automatically be deemed to be modified so as not to be less favourable. This is so even where an employee consents to the less favourable term. A provision which is more favourable to an employee, however, is permissible. It is not possible for parties to a transaction to contract out of the Regulations. Any provision in an agreement which purports to exclude or limit the application of the Regulations is deemed to be void. If an employee terminates his employment because a transfer has involved a substantial change in working conditions to the detriment of that employee, the employer concerned is regarded as having been responsible for the termination – it is treated as a dismissal. Whether the change of service providers is covered by the TUPE regulations will depend on the particular facts of the situation and whether what is being transferred is an economic entity or mere activity. The Spijkers criteria-set out above- will be the starting point in deciding this. where a principal is already contracting out services and decides to change independent contractors. This case is critical in helping decide whether a change of service providers is covered by TUPE or not. the mere loss of a service contract to a competitor does not of itself indicate the existence of a transfer within TUPE. have assets or resources been taken over? has there been a transfer of goodwill? has a major part of the workforce been taken over by the new employer? has an economic entity been transferred? This is a 2004 decision of the Employment Appeals Tribunal but it is helpful in deciding whether TUPE regulations apply to a transfer or not because it draws upon TUPE cases from the European Court of Justice (ECJ). Set out below are some quotations from the decision, which you can access here. • “To decide whether these conditions are fulfilled it is necessary to take account of all factual circumstances of the transaction in question including the type of undertaking or business in question, the transfer or otherwise of tangible assets such as buildings and stocks, the value of intangible assets at the date of transfer, whether the majority of the staff are taken over by the new employer, the transfer or otherwise of the circle of customers and the agree of similarity between activities before and after the transfer, and the duration of any interruption in those activities. It should remain clear however, that each of these factors is only part of the overall assessment which is required and therefore they cannot be examined independently of each other”. The essence of a transfer is that the economic entity retains its identity. In the ECJ case Daddy’s Dance Hall 1988 IRLR 315 ECJ, it was held that the Regulations applied in a case where premises were leased, and at the termination of the lease the employment of the claimant was terminated. A new lessee was brought in to run the premises and he employed the claimant, but later dismissed him. The new lessee was obliged to carry on the employment rights and obligations of the first lessee, even though there was no contractual connection between the first and second lessee. The ECJ in Hidalgo and Others v Asociation de Servicios Aser and Sociedad Cooperativa Minerva (C-173/96), and Horst Ziemann Sicherheit GmbH and Horst Bohn Sicherheitsdienst (C-247/96)gives guidelines to national courts to assist in their examination of whether a transfer of undertakings has taken place. • “the term economic entity refers to an organised grouping of persons and assets enabling an economic activity which pursues a specific objective to be exercised. The mere fact that the service successively provided by the old and the new undertaking to which the service is contracted out or the contract is awarded is similar does not justify the conclusion that a transfer of such an entity has occurred”. In order for the Regulations to be applicable, the transfer must relate to a ‘stable economic entity’. The term entity refers to an organised grouping of persons and assets facilitating the exercise of an economic activity which pursues a specific objective(Suzen). • “Whilst such an entity must be sufficiently structured and autonomous, it will not necessarily have significant assets, material or immaterial. Indeed, in certain sectors, such as cleaning and surveillance, these assets are often reduced to their most basic and the activity is essentially based on manpower. Thus, an organised grouping of wage earners who are specifically and permanently assigned to a common task may, in the absence of other factors of production, amount to an economic entity”. • “Since, in certain labour-intensive sectors, a group of workers engaged in a joint activity on a permanent basis may constitute an economic entity, it must be recognised that such an entity is capable of maintaining its identity after it has been transferred where the new employer does not merely pursue the activity in question but also takes over a major part, in terms of their numbers and skills, of the employees specially assigned by his predecessor to that task. In those circumstances, the new employer takes over a body of assets enabling him to carry on the activities or certain activities of the transferor undertaking on a regular basis”. • “I take the view that the work of cleaning the premises of undertakings – an activity for which they have a permanent need even where their main business is not cleaning – may fall within the scope of the Directive if it is carried out by a stable group of employees pursuing a specific objective; this holds true even where there has been no transfer of significant tangible or intangible assets, provided that there is an economic entity and that that entity retains its identity after the transfer”. “However, to determine whether there is a stable economic entity, the national courts must consider first whether it is dealing with an organised grouping of persons and assets or simply of persons, that is to say, a grouping of employees who constitute a stable unit by virtue of the fact that they are engaged in a particular economic activity and pursue the same objective, in the sense defined above. It must then determine whether that grouping has retained its identity”. “It is true that an economic entity must be organised, that is to say, it must have an organisational structure, however minimal, in order to constitute an undertaking, business or part of a business”. Cavan Industrial Cleaning Services Ltd case is a good one to look at in relation to the transfer of a cleaning contract. The Tribunal are satisfied that no assets, tangible or intangible, transferred and the service undertaking previously entrusted with the contract did not, on losing the contract, cease to fully exist and it cannot be considered that a business or part of a business belonging to it has been transferred to the appellant. From the evidence before it, in this case, the Tribunal is satisfied that a transfer of undertakings within the meaning of Article 1(1) of the Transfer of Undertakings Regulations did not occur. The Tribunal is allowing the appeal and therefore upsets the recommendation of the Rights Commissioner in this case. 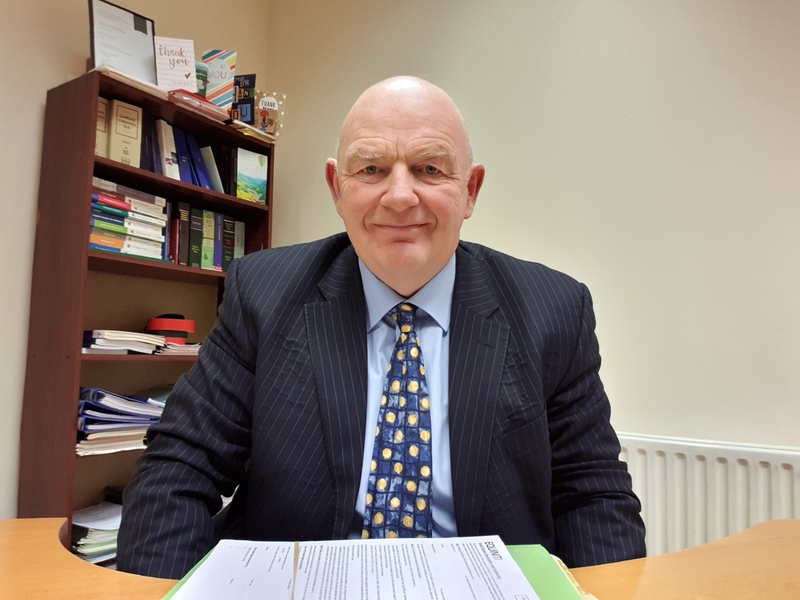 If you are thinking about purchasing a business in Ireland or the EU there is quite a lot of complex issues which you would be well advised to obtain legal advice for. the difference between an “activity” and an undertaking and so forth. For this reason do consult a solicitor if you feel that your rights have not been upheld in this potentially complex area. Obtain the necessary indemnities and warranties from the transferor; these will vary from case to case and careful note should be paid to the wording of any warranties and indemnities eg you may be indemnified against any award to an employee arising from the transfer but not form the legal costs arising from the claim; the costs of redundancy payments post transfer will have to be considered and providing for these in the consideration to be paid may be the best way to proceed. However the precise costs may not be ascertainable and an indemnity will be sought for the unforeseeable part; the transferor will not want to give an open cheque though..
Is a social plan needed, particularly for those who are not being kept on? Indemnities and warranties can be difficult to obtain and the nature of the indemnity will vary from case to case. But it would be advisable for the transferee to try to obtain such indemnities if he is exposed to a potential claim post transfer. The wording of such indemnities is vitally important. For example, the transferee may be protected against an award that might be awarded to an employee arising from the transfer or redundancy but not against the legal costs of defending a claim. The nature, effectiveness, and extent of these indemnities will usually have to be negotiated between the parties (transferor and transferee). (b) a trade union, staff association or excepted body on behalf and with the consent of the employee. Here is a recent decision of the Employment Appeals Tribunal where a static guard was awarded €11,500 under TUPE regulations.